Ms. Shields is currently Special Counsel with Kramer Rayson LLP and a Fellow of the Knoxville Bar Foundation. 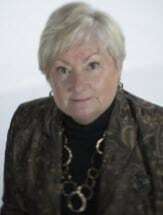 For more than thirty-eight years, her law practice has been devoted primarily to representing taxpayers and preparers in civil and criminal tax controversies throughout the southeastern United States, including, but not limited to, Tennessee, Kentucky, North Carolina, South Carolina, Arkansas, Georgia, Florida, Michigan, Virginia, Texas, Colorado and California. She has defended taxpayers, return preparers and Certified Public Accountants during Internal Revenue Service and Tennessee Department of Revenue audits, investigations, the administrative appeal process, with the federal Office of the Taxpayer Advocate, and before the United States Tax Court, the United States District Court, the United States Sixth Circuit Court of Appeals and the United States Supreme Court. She was a member of the 2009, 2010 and 2011 Executive Committee of the Tax Section of the Tennessee Bar Association and chair of the Executive Committee of the Tax Section of the Tennessee Bar Association in 2011. She also served as the liaison to the Internal Revenue Service for the Tennessee Bar Association in 2009 and 2010. She has been selected by her attorney peers as Knoxville's "Top Attorney" in Tax Law and Income Tax IRS Resolutions for several years by City View Magazine. Ms. Shields has represented taxpayers regarding many issues and is a frequent speaker at educational programs on many tax topics, including, but not limited to the following: filing delinquent and amended returns, offshore voluntary disclosure, defending taxpayers during a civil audit or criminal investigation, filing innocent spouse claims, requesting waiver of penalties, the taxability of settlement agreements, abusive tax avoidance claims by the IRS, requesting IRS private letter rulings, contesting tax penalties, including fraud and return preparer penalties, and Circular 230 requirements for accountants and lawyers. As an invitee to the 2003 United States Tax Court Judicial Conference, Ms. Shields participated alongside the Honorable Judges, counsel of the Department of Justice, attorneys with the IRS Office of Chief Counsel and other select tax lawyers who defend taxpayers from across the nation. Ms. Shields also devotes part of her practice to estate planning and estate administration throughout Tennessee. She is a graduate of The Webb School, Emory University and The University of Tennessee School of Law. She is currently a member of the Knoxville Bar Association, the Tennessee Bar Association (Tax and Probate Sections), the American Bar Association (Tax Section) and the Knoxville Estate Planning Council.